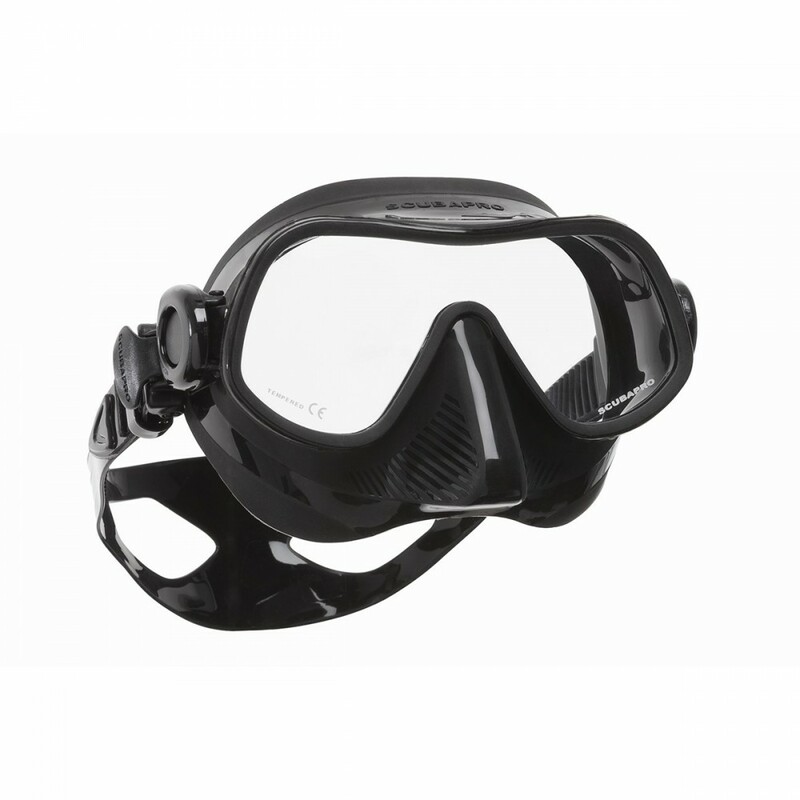 The single lens, low volume STEEL PRO offers an expansive view of the underwater world. 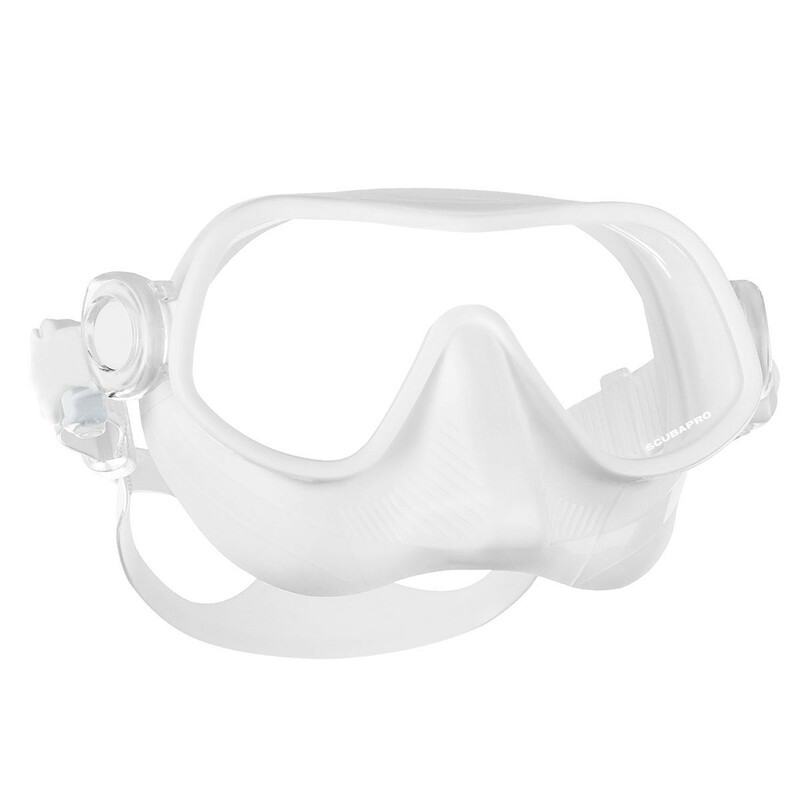 Perfect for freediving or scuba diving, the frameless design is streamlined and lightweight, and the soft silicone skirt provides a comfortable fit on a range of face shapes. Rotating buckles work with a micro-adjustable strap to maximize water-tightness. The black and white skirts are both very effective at blocking out light reflection at depth, while the clear skirt allows a lot of light in when diving in darker waters. The low volume design makes the STEEL PRO a great mask for all types of diving. 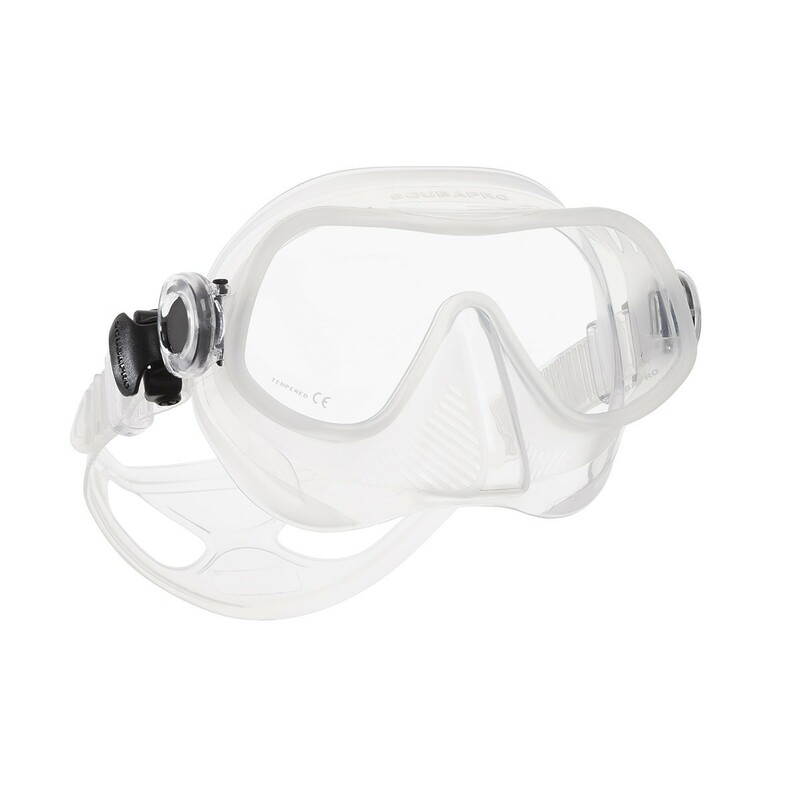 • Ultra low-volume design requires minimal air when equalizing, a huge plus for freedivers. • Premium super-soft silicone skirt seals out water and comfortably fits a range of faces. • Ultra Clear scratch-resistant glass lens delivers distortion-free vision and long-term wear. • Easy-adjust rotating buckles work with a micro-adjustable strap to achieve a comfortable, watertight fit.